Material Grade TP304/304L; TP316/TP316L, TP347H, TP321, TP321H, TP317L, TP310s/ TP310H Etc. 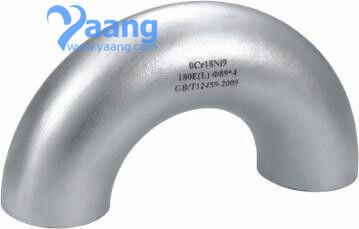 SMLS Stainless Steel Elbow 1/2" - 24"
Welded Stainless Steel Elbow 1/2" - 48"
Standard ASME, ANSIB16.9; JIS B2311, 2312, 2313; DIN2605, 2615, 2616, 2617 etc. Chemical, Biotech, Pharmaceuticals, Food, Mining, Architectural, Transportation, etc. Wooden cases, under the client' s request.